Populous is a London-based startup which is set to launch an invoice marketplace. This new platform is with a profit sharing token. Based on Ethereum, Populous uses XBRL, Smart Contracts, Stable tokens and more to create a trading environment for investors and invoice sellers from all over the world. 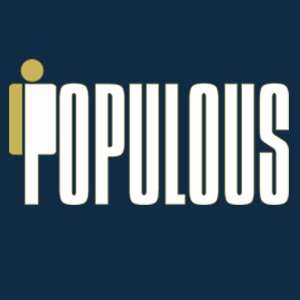 Populous will issue its own asset Tokens “PPT” to remunerate Populous ICO contributors by offering a profit share, funded through Populous fees and services. Its Initial Coin Offering (ICO) was supposed to launch from July 16 to August 16 this year. However, the Pre-ICO phase which started on June 7 is very successful and it finished faster than expected. After the maximum cap for its crowdsale was achieved at 39,600 ETH, the Populous Platform Token (PPT) is no longer for sale. ICO Description: Populous is an invoice and trade finance platform that created in the UK and runs on the Ethereum platform.